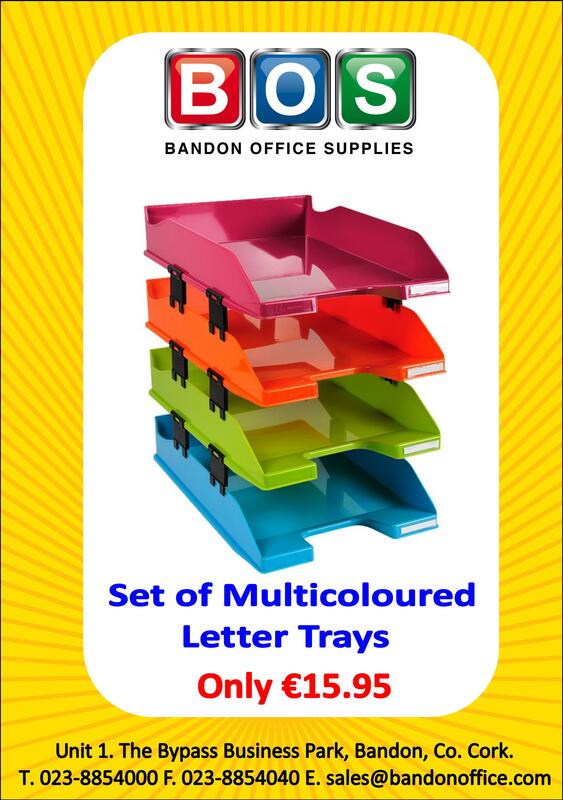 Please see Office & School Supplies for more information on our product range. 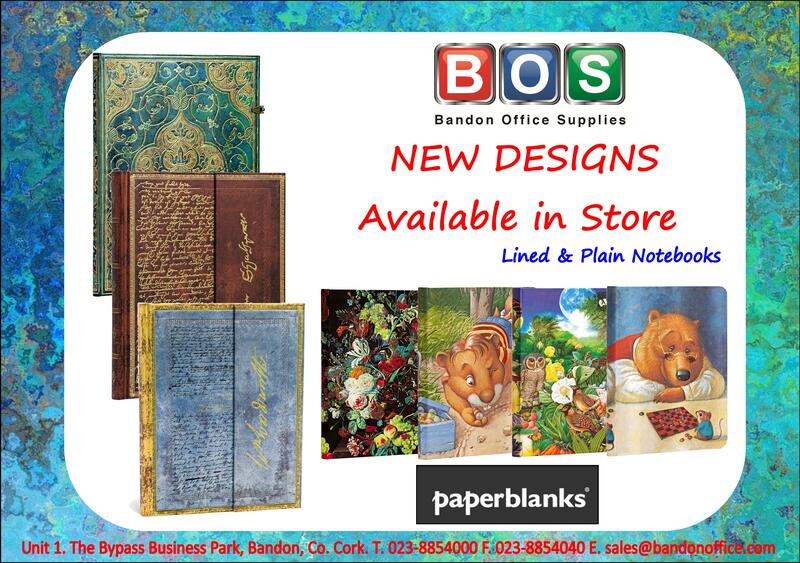 BOS have an extensive range of Home & Office furniture. Find out more information at Home & Office Furniture. We have an excellent range of Arts & Crafts Supplies. Be sure to check them out. Thinking of having a party? Check out our supplies at Party Supplies ! Signs are very important in adding the professional look and feel to your business. More information on our signs here. We also offer a very diverse range of printing services. For more information please click here. 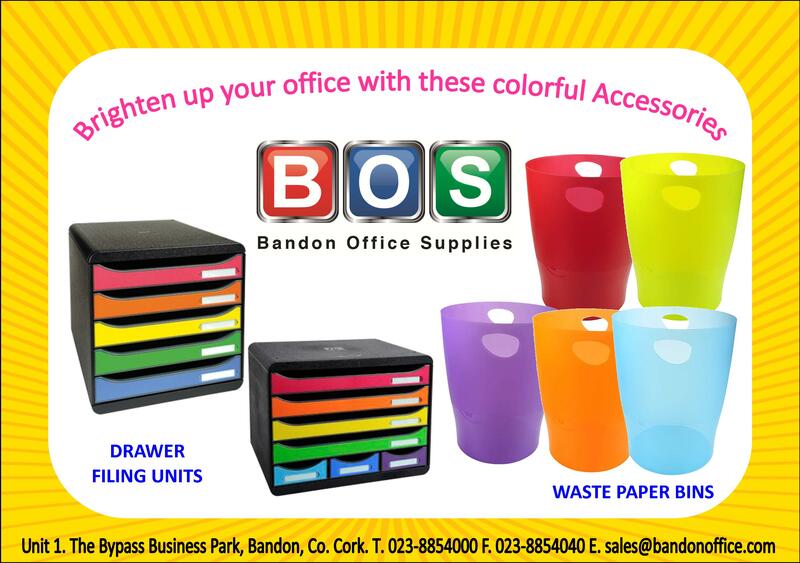 Bandon Office Supplies (B.O.S.) 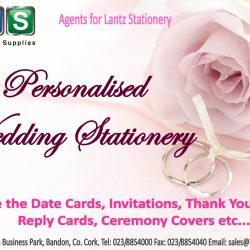 is synonymous with the supply of Office Furniture and Office Products throughout Munster. The business started in 1979, currently operates from two locations. 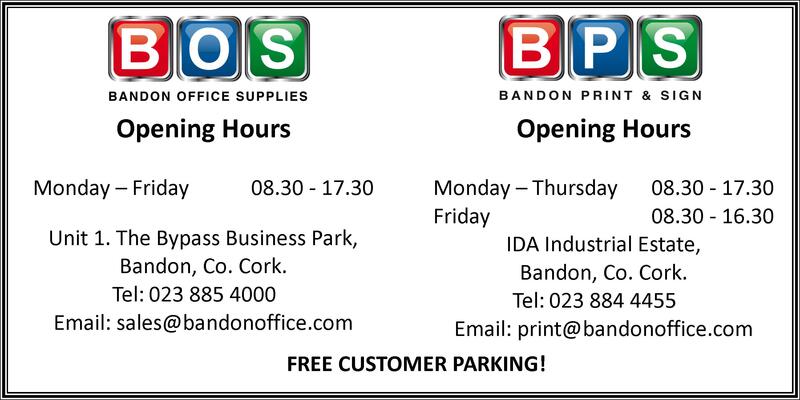 Its’ shop being situated in Unit 1, Bypass Business Park, Bandon, Co. Cork, which has its’ own car park for customers. 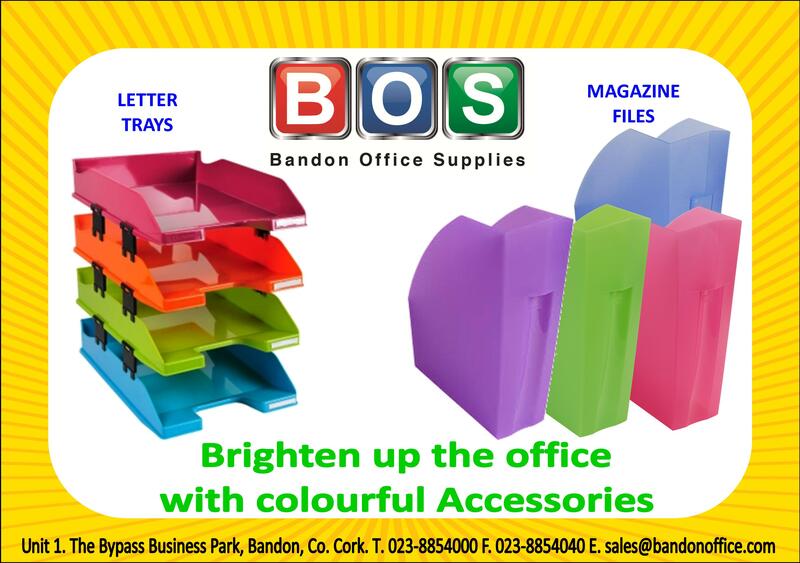 Office Products, School Supplies, Home & Office Furniture, Art & Crafts, & Party Supplies as well as an extensive range of Back to School items are on display in this newly equipped and upgraded location on the Bandon Bypass road. 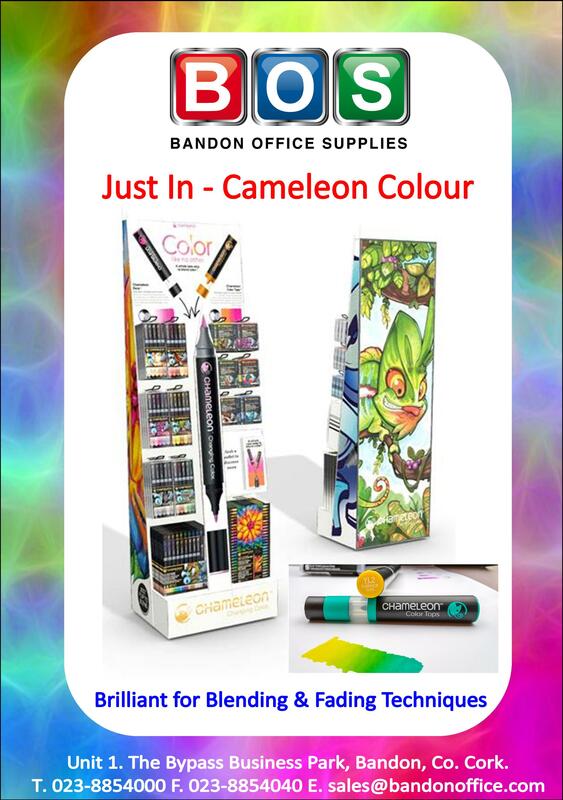 Our manufacturing facility (Bandon Print & Sign), located in the IDA Industrial Estate in Laragh, Bandon, produces Printing for all requirements as well as Signs of all sizes and shapes. Vehicle sign writing is also done here as well as the production of items such as Advertising Hoardings, Banners, stickers & Security Badges. B.O.S. offers a wide choice of products backed up by an experienced team who can offer help and advice in choosing the right product best suited to your needs. Choose the products that best suit you. Receive high quality products at great value! 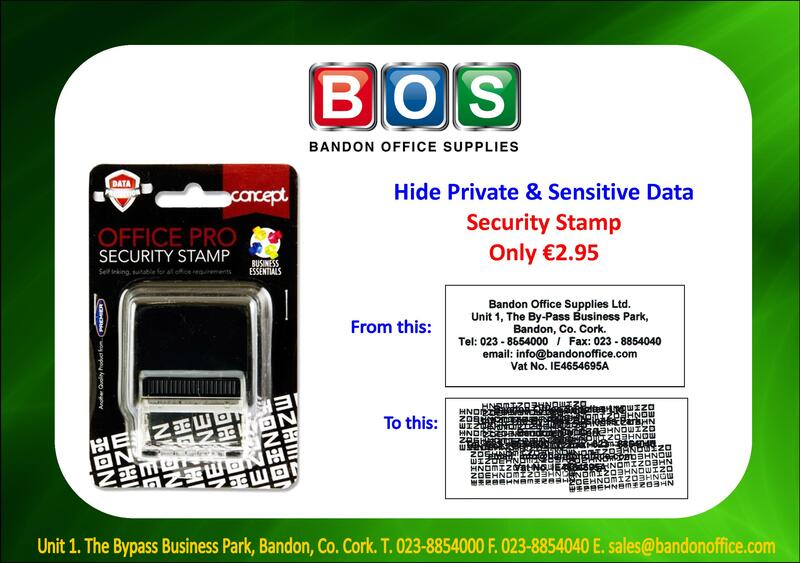 Protect Your Data – New Security Stamp in Stock Now!